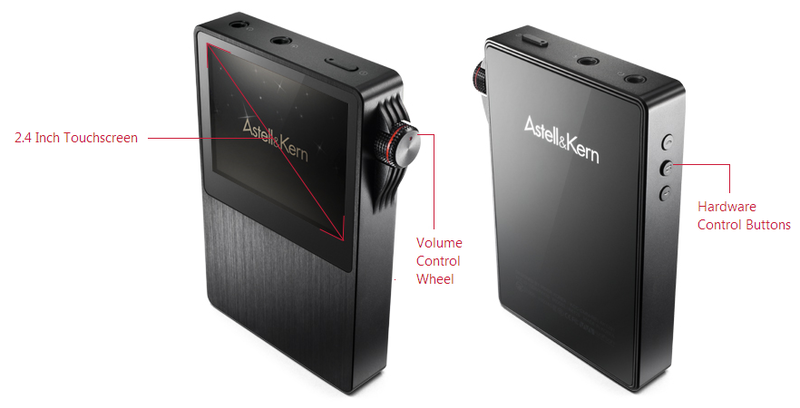 The Astell & Kern AK120 was designed to combine the best user experience with exceptional sound in a portable unit. The size is smaller than the other high-end players I have had an opportunity to use and on still smaller than the DX50, packing a lot into a little space. It includes a touch screen, volume control knob, charges via micro USB, and has two microSD card slots behind a sliding door, allowing for a total of 192 GB of storage with the 64GB of internal memory. 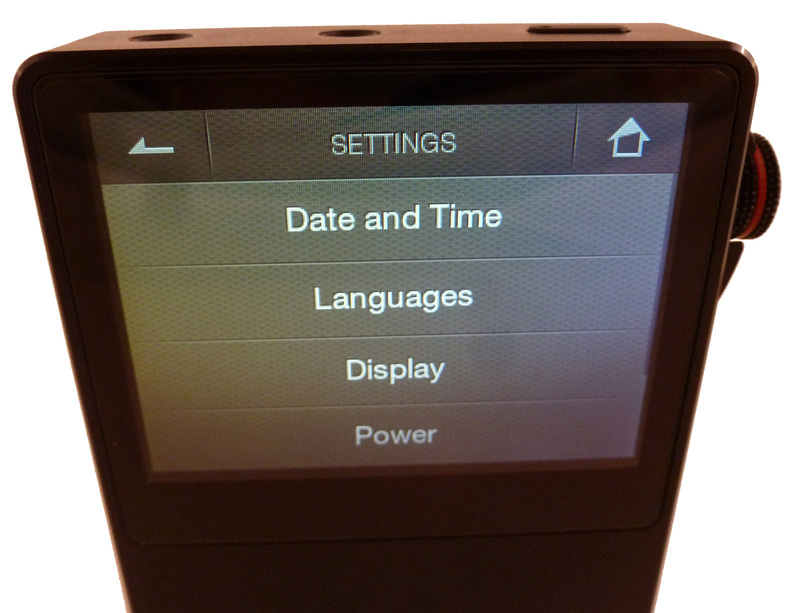 The user interface is well refined, easy to use, and is quite usable for the relatively small display size. It comes with a leather case, which is a nice touch. It is available on Amazon for $1299. My user experience was excellent from the start, with little adjustment needed with version 1.32 of the software. Various interface screens are easy to navigate, responsive, and intuitive. Booth time was very quick, and it took me around 20 seconds to get the AK120 playing music, which is much faster than the DX100. 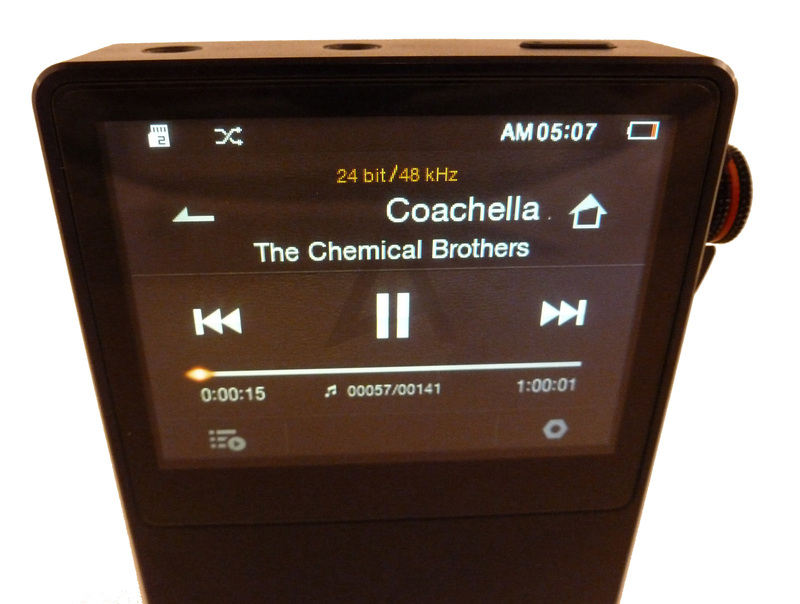 When loaded with music, the AK120 is still responsive, which I can’t say for the other high-end players. It isn’t all perfect, as scrolling through songs did get tiresome since there were so many and the display is quite small, and the tiny scroll bar on the side was difficult for me to use. 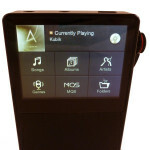 Overall, the AK120 user interface is one of the best I have used on a music player and it is possible that the AK240 fixes the scrolling issue. One of my biggest difficulties using the AK120 was when I wanted to change memory cards, as the recessed slot is very compact and too small for my fingers to fit, so I had to use something small, such as the tip of a pen or screwdriver to lock the memory cards in. I was able to get one out, but trying to remove two at once made it impossible for me to pull either out of the slots. Also, the door tends to want to shut partially, making the whole process a bit more difficult. Luckily, I didn’t change memory cards often and don’t suspect many people will since they can just leave 2 64 GB cards in the AK120. The form factor is excellent for travel and the USB charging is a welcome change from the 801, 901, and DX100 proprietary wall charger requirements. I have taken the DX100 and 801 on trips and had to charge them during layovers, but not so with the AK120. Even if the battery did run low, there is an abundance of USB backup batteries on the market that will charge the AK120. I also appreciate the menu that pops up when the AK120 is connected to a computer with options for charge only, access the memory, or use the DAC function. My other players stop playing when connected to my computer. 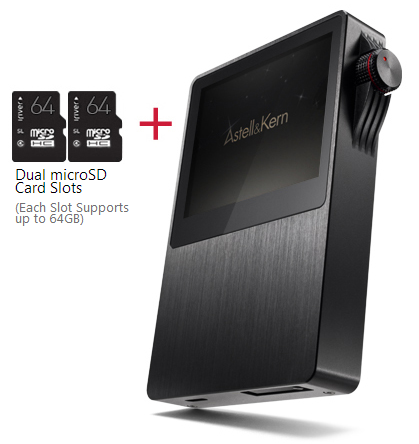 The high-resolution DAC can be used with a computer, which further increases the usefulness of the AK120; a feature I wish all of the high-end players offered. I do find it convenient to use a computer to control my music instead of having to touch the player when I am working on the computer. 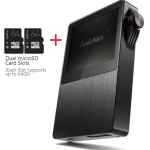 The AK120 will charge in DAC mode, so it can be used as a portable or desktop DAC. 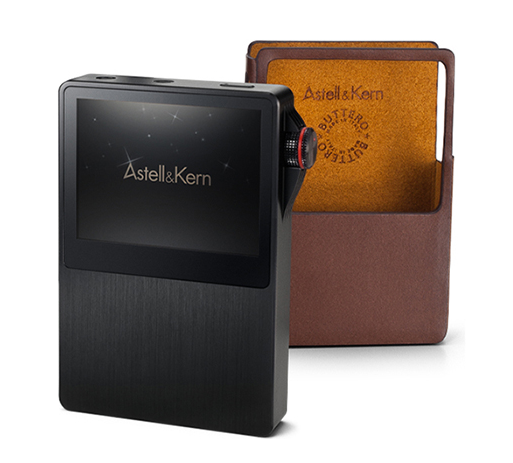 The AK120 can also perform as a DAC via the optical input. Playback of my tracks went without a hitch as the AK120 never had a file issue, which I can’t say about all the other DAPs I tested. I must admit, the others have improved over time with firmware updates, but there are still issues from time to time. The bit depth and sample rate are displayed in an informative yet uncluttered way. There is no noise or popping during turn on or turn off, which takes slightly longer than 15 seconds. 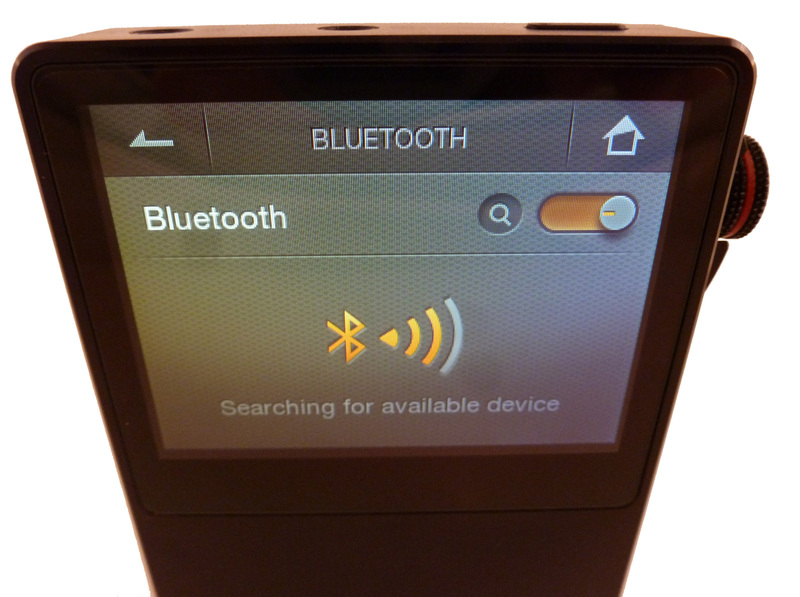 There are external controls for playback, skipping tracks, and volume, all of which can be used when the AK120 screen is on or off. The volume control can be set to be locked when the screen is off in the settings menu. 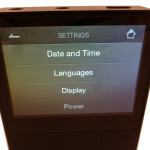 Once the display goes black, the power button must be pressed to show the display and enable use of the touch screen. The track control buttons are on the left and the bottom button, or lowest button skips to the next track instead of restarting the current track or skipping to the previous track. This is counter-intuitive to me, but I did get used to it. When the leather case is used, the buttons are recessed a bit preventing accidental changes, and I never had an issue. While the volume knob is digital, it has an analog feel and the slow change makes it easy to fine tune the volume. 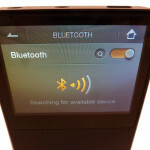 When the screen is active and the volume knob is adjusted, a volume overlay appears and then disappears relatively quickly. While the vast majority of my listening was done via the analog headphone output, the same jack doubles as an optical output. Once the plug is removed from the AK120 jack, analog or optical, the music is paused. I used the optical output to feed the Unique Melody PP6 and compared it with the headphone out. The optical output was more dynamic and a bit cleaner with slightly better spaciousness. Bluetooth is also included, but I don’t have any suitable Bluetooth headphones to test, other than for pairing and range purposes. Pairing is simple and the range was similar to my iPhone 5. I did extensive audio testing with primarily higher cost custom in-ear monitors, but also some headphones and lower-end IEMs and compared the sound with the HiFi Man 901 with balanced card (in SE mode), the iBasso DX50 and DX100, and Fiio X3. While performance varied depending on what the AK120 was paired with, it generally fell between the DX100/901 and DX50/X3. Spatially, the AK120 doesn’t have the size of the DX100 while the 901 was also larger most of the time, and the performance was closer to the DX50 and X3. Sound refinement was also superior with the DX100 and 901, but this was closer with to the higher end units as there was a noticeable step from the DX50 and X3. Bass weight and overall authority was lacking in comparison with the DX100 and 901, and even the X3 and DX50 could provide more weight with certain pairings, especially with harder to drive custom in-ear monitors. Dynamics also fell to the middle of the pack, as the AK120 was better than the DX50 and X3, but not to the level of the 901 and DX100. Some specific comparisons include the Logitech Ultimate Ears Personal Reference Monitors, which performed as well with the DX50 as the AK120, the Dream Earz AUD-8X which sounded much more lively from the 901 and DX100, an the Hidition NT-6 and NT-6 pro where the AK120 exhibited minimal differences between high-end sources. The AK120 doesn’t seem to handle some of the complex crossovers too well, but with performed OK with headphones such as the AKG K550. Overall, I would say the sound is good, and without a direct comparison it will offer sound that will be very enjoyable, especially if you are a serious traveler. There were some pairings that were relatively bad, but there were others where the sound was stellar, and while the DX100 didn’t have paring issues, others also did to an extent. Given the form factor/size, battery life, and charging via USB, the sound quality is a tradeoff that is worth for travelers. 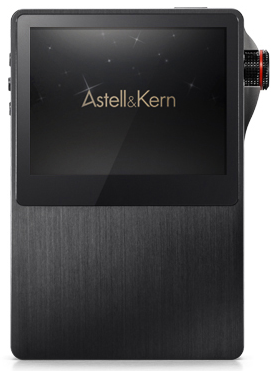 AK120 Titan Limited Edition: The Titan version has a hard anodized, scratch-resistant silver titanium colored coating and increases internal memory to 128 GB while retaining the two external slots for a maximum memory capacity of 256 GB total. The cost is an extra $200, bringing the total to $1499. This is the first portable player that is a space equivalent replacement for my modded 240 GB iPod 5.5g, but with all digital storage. While the Rockbox interface of the iPod is nice, the AK120 is more responsive and the memory access is considerably quicker. Plus, since my modded iPod was also modified for better sound, an amp via line out must be used to access the improved sound quality. 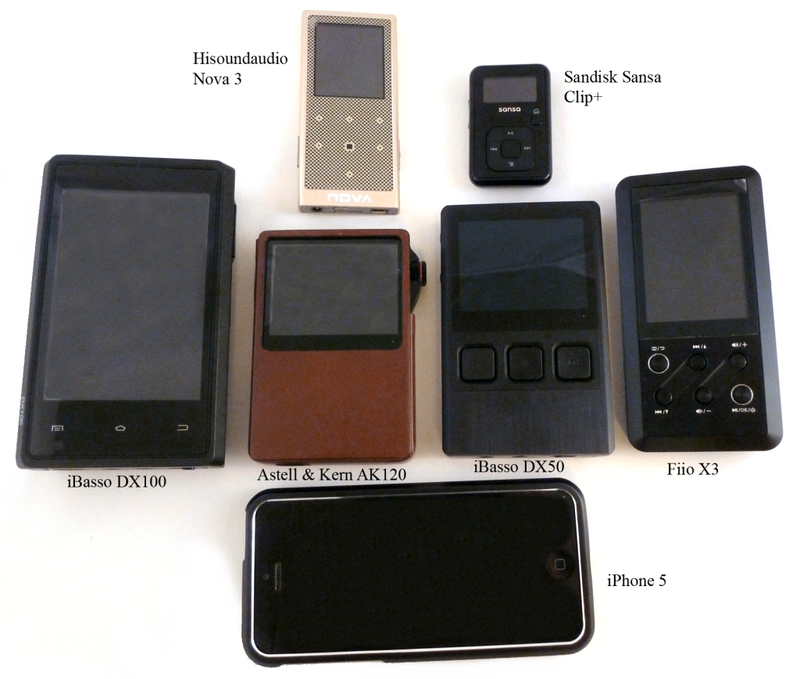 Also of note is that the modded iPod is less than 1/4th the price, but is more finiky than the AK120. 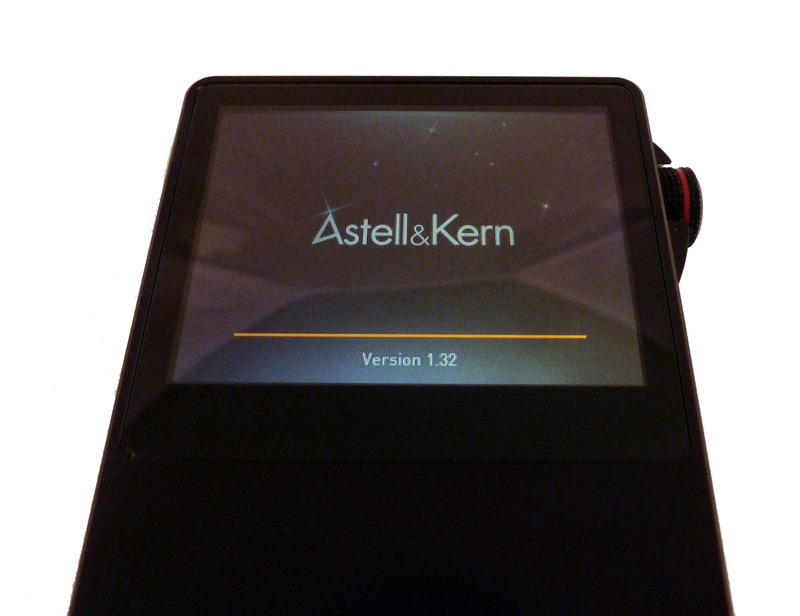 I would like to thank Astell & Kern for loaning me the AK120 for an extended period of time. 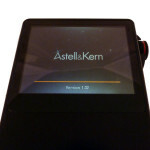 Images are from the Astell & Kern website, except the source comparison image and screen images, which are THL originals and the Red Wine Audio RWAK120B image was from the Red Wine Audio website. 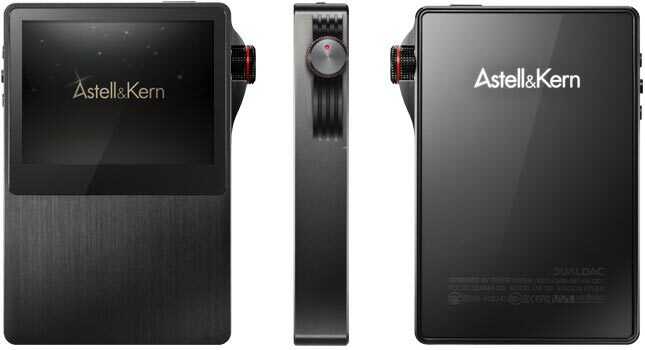 The bottom line is the $1299 Astell & Kern AK120 is hard to beat as a truly portable player due to the combination of ease of use, battery life, charging, size, capacity, and sound quality. The sound quality isn’t the absolute best I have heard from a digital media player, and some pairings are better than others, but the players that do sound better give up battery life, size, and ease of use in comparison. 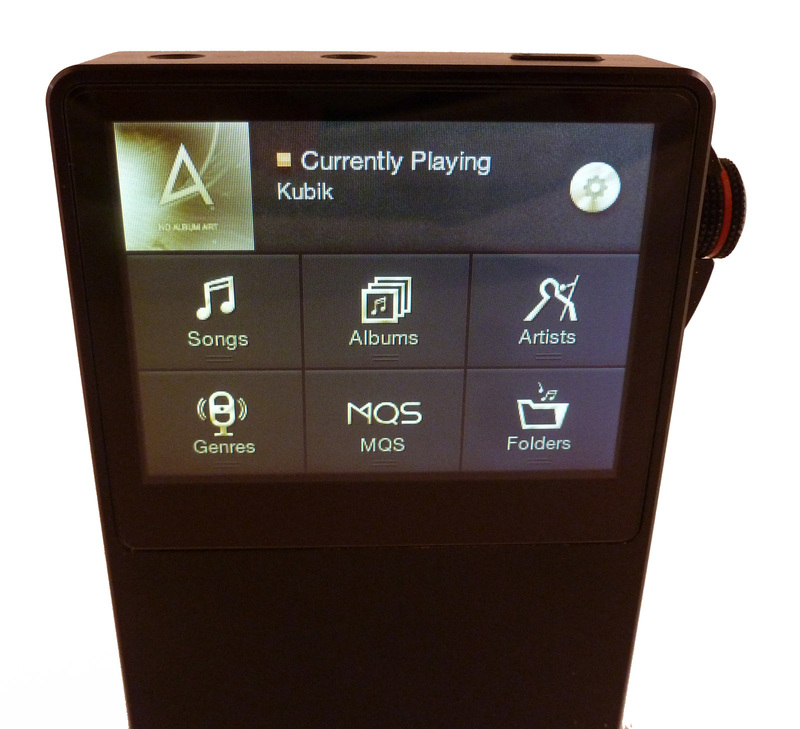 If you want a portable high-end player that will work without requiring you to think too much about it, be concerned that select files won’t play, and have battery life concerns, the AK120 is an excellent choice.